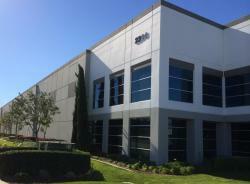 January 20, 2014 - Third-party logistics provider Kane Is Able, Inc. (KANE -- www.kaneisable.com) has opened a 211,000 square foot distribution center in Rialto, California, located in the Inland Empire, 50 miles east of Los Angeles. KANE added the operation to its national network in order to expand its services with a long-time customer, while addressing a growing customer demand in the Southern California market. The facility will provide cross dock, distribution, and transportation services. "We are looking forward to serving our customers by being closer to the marketplace," notes Ed Shoemaker, Senior Director of Operations for KANE. This geographic expansion in services was the result of a redesign of their partner network. It is anticipated that the move to the new location will generate an annual savings of more than one million dollars in transportation costs. The new distribution center comes on the heels of KANE's recent expansion in the Atlanta market. KANE currently has a total of 21 facilities with primary locations in Southern California, Atlanta, Chicago, Kansas City, New Hampshire, and Maryland. It also has more than 2 million square feet of distribution space in Scranton, Pennsylvania, the site of KANE's corporate headquarters. In addition to its distribution network, KANE manages a premier asset-based transportation fleet with retail consolidation services to provide customers with on-time, overnight delivery service to Northeast states, as well as nationwide deliveries throughout the lower 48 states.